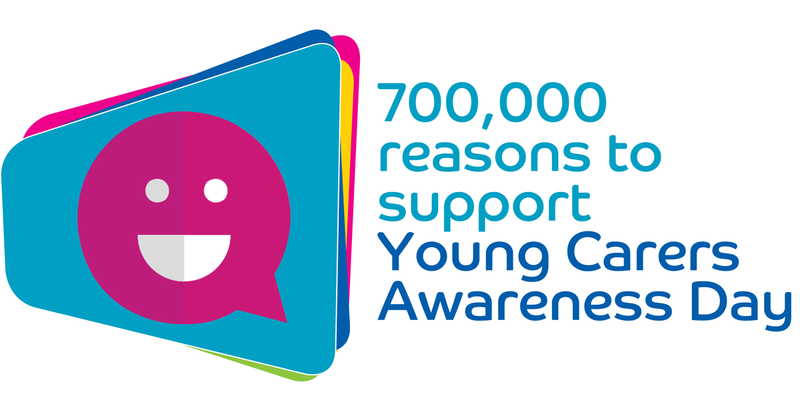 To mark Young Carers Awareness Day, it is our privilege to host a series of blogs featuring the voices and experiences of young carers themselves. Meet this remarkable boy, aged 12, who has cared for his mother for as long as he can remember. He also helps look after a younger brother with autism. He has asked to remain anonymous, but this request for privacy makes his account no less affecting. With thanks to Carers Trust for making this blog possible. Mum was diagnosed with M.E. before I was born. In short, it means she is always exhausted, confused, forgetful, with aches and pains, and not able to walk very far. Having a caring role for me is as normal as putting on my socks in the morning. It’s a part of how I was raised, to do some extra chores in the house and always make sure mum is OK. I never really thought that my life was any different from that of other children until the school told me I was a young carer. I often cook meals and prepare snacks when mum is unable to do anything and is laying down to rest. I often struggle to wake mum up after she’s had a rest, and I have to just keep telling her over and over again that she needs to get up now to eat her snack or dinner. I help look after my younger brother who has autism – I take him to the park or round the block for a walk and I help calm him down if he’s getting cross. Now I’m aware of the fact that I am a young carer, at times I guess I feel that I miss out on what other children are doing like going bowling or to the cinema or theme park, and the things they might want and have the time to shop for – like the latest gadgets or designer clothes. I don’t resent it although I am aware that I have a lot of responsibility for my family and for my own life. This is good on one hand because I know I’ve learnt a lot of valuable life skills. But on the other hand it sometimes feels that all my time is being sucked up by life at home. I’m aware that I have problems with learning and concentration – I find it hard to sit and do my homework and to listen when I’m in class. I end up feeling really tired myself. A lot of the time, when I do get some time to myself, I just want to do nothing, listen to music or go on social media. I don’t know what the future holds for me, I can’t really think about it right now. Maybe one day I will be famous and have nice things. I guess I need some guidance on finding my niche. I’m quite good at cooking since I do that a lot at home. But I think I am may be interested in music or clothes designing. When I think about what would help young carers like me, I guess I’ve been helped a lot by the Young Carers in Schools programme run by Carers Trust and The Children’s Society at my school. As much support as there is though, I still get teased by my friends sometimes. Some people at school say to me ‘your mums not really ill’. Mum told me it’s because M.E. is like an invisible illness. I know they have no idea what life is like for her or us. There can be times when mum seems fine but most of the time she is not and doesn’t even have the energy to go from one room to another. I love my family and I don’t mind looking after mum. I think as long as I get a break from time to time we will manage to make it work and I’ll figure out my future when the right time comes.